Father’s Day is THIS SUNDAY! 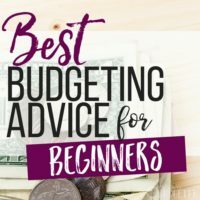 If you're short on funds this year, I've got you covered. A few years ago, my family implemented a $10 gift giving tradition. We've come to LOVE the challenge of coming up with creative and awesome gifts, while still coming in under budget. One year we gave my Dad a couple of “new to him” Xbox games and a controller adapter we were no longer using, plus some of his favorite candies and treats—all wrapped up in a fun gift basket. He thought it was terrific—proof you don’t have to spend a lot of money to make Dad happy. So if you're still not sure what to get Dear Old Dad (or Grandpa, or your husband), there’s still plenty of time to find the best gifts for Father's Day to fit any interest—and ANY budget. When giving a Father's Day present, I find it’s always a hit when I lean toward the meaningful. Trust me, even guys are sentimental, so they appreciate gifts from the heart over meaningless clutter. That said, gifts that serve a purpose, speak to their interests, or are created by loved ones are usually the best gifts for Father's Day. Practical gifts are often appreciated as well (but don’t forget to have a little fun)! My husband is easy-to-please when it comes to gifts. Let’s be honest, what Dad doesn’t love a homemade gift from his kids? And how about giving the gift of an opportunity to spend quality time with the kiddos doing something special? A trip to the dinosaur museum, a car show, the zoo, or another fun (or FREE) activity—all great gifts. Try a specially created dinner plus homemade coupons for helping out around the house. I promise, Dad will love it. Here are the best gifts for Father's Day I’ve found for under $20 (including some DIY ideas that won’t cost a thing)! Best of all? 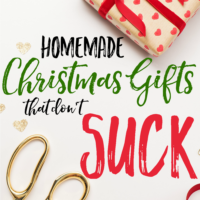 Most of these ideas also include Prime shipping from Amazon, so you can order right up until the last minute. Happy Father’s Day to all the great Dads out there! You do so much for us, the least we can do is say thank you! Cheers! Rather than giving Dad more stuff, consider planning a fun, quality day with him. What does he love to do? Fish? Jog? Work in the yard? Get the kids to spend the day helping Dad or just doing something really fun he enjoys. Giving experiences over gifts is always more meaningful because it's a great way to create memories you'll cherish as the kids grow up. Give the gift of experiences, but in physical form! Help the kids make coupons, each redeemable by Dad when he needs help or wants to do something fun he enjoys. 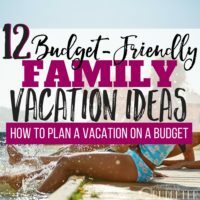 For example, create a coupon for one favorite homemade dinner of his choice, a coupon for one “hands free” carwash (done by the kids so Dad doesn’t have to lift a finger), or a coupon for storytime or movie night—Dad’s pick! 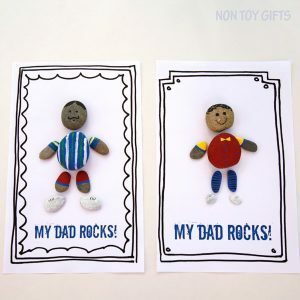 Help the kids make homemade bookmarks decorated with phrases or quotes that remind them of Dad. 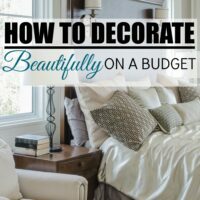 Add fingerprints, drawings, or any other decorations. (Optional: Laminate them with easy self-laminating sheets.) Give Dad the bookmarks along with a book you think he’ll love. If you’re really trying to be frugal, exchange a book with a friend for a book Dad would like. You can also check out secondhand bookstores, which often offer books in like-new condition. Goodwill and Amazon offer cheap used books, too. Oftentimes your local library will sell old books for as little as a fifty cents, so check there, too! If Dad is your rock…or a rockstar, tell him with this adorable Father's Day gift idea from Non-Toy Gifts. Simply gather up a few nice rocks, then have the kids paint up a rock version of Dad (or of one of his favorite characters). Put it together on a piece of cardstock and you'll have a cute keepsake he'll cherish! 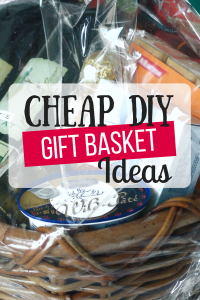 There are a bazillion ideas for gift baskets for Dad, so if you get creative, you can create a really awesome Father's Day gift basket that won’t cost a lot of money. Try going with a theme, like Dad’s favorite things, his favorite sport, or his favorite treats. Put together a basket around that theme or try a super-fun “Pop” themed basket (include popcorn, Pop Rocks, soda “pop,” etc.)! Gift baskets are always exciting and everyone loves opening each item and seeing how it all ties together. Put together a collage of your favorite Dad memories or create a wall hanging or framed art filled with Dad or Grandpa’s best moments. Photo gifts are meaningful, simple and unique. 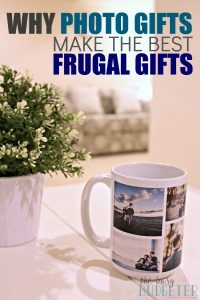 You can find great deals on printed items using a photo store like Walmart, which has tons of different photo gift options for super cheap. 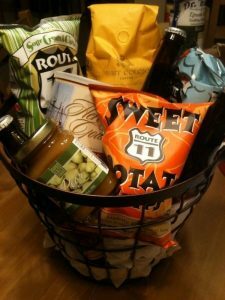 So this goes along the lines of the gift basket idea, but one of my all-time favorite gifts I’ve ever put together was a “Taste of Virginia” snack gift basket. Snack gifts don’t have to be in basket form, either—compile Dad’s favorite treats, candy or snacks and put them together in a cute container. Go for sample sizes if you want greater variety! If you find a great deal on a cut of meat (like steak or pork tenderloin), put together an awesome gift with steaks, seasonings, and grill sauces. You can even include charcoal or check with your local dollar store for some cheap grilling tools (like tongs and a spatula). Summer is here, so you can find great deals on all things grill. So if Dad loves to grill out, he’ll be thrilled! How cute is this slipper gift idea?! 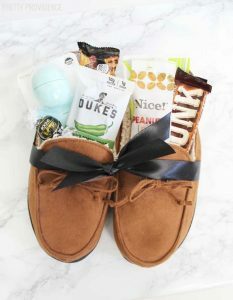 In this case, she filled comfy Dad slippers with different snacks and treats, but you could also fill them with samples of Dad’s favorite products (which can be found for cheap or even free) or little items he enjoys. Chapstick, a keychain, or just a cute card all work great for this slipper gift idea! 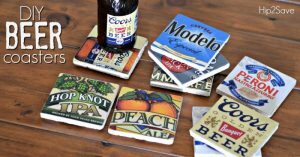 Dads who love beer will love these awesome DIY coasters! They’re great for a bar room or TV room, and they'll keep your furniture protected as well. You don’t have to use beer labels, either. If there are other themes that fit Dad’s personality better, you can use any image. Are Dad's office walls bare? Hold a special craft day with the kiddos and have them create a unique art project using either handprints or just a favorite drawing. Challenge older kids to think up a theme that fits Dad’s interests. A portrait of Pop works great, too! Frame if you like, so he can hang it proudly for all to enjoy! 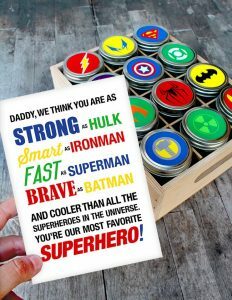 Tell Dad he’s your superhero with these adorable superhero jars filled with candy! These come together so easily and they don’t cost a lot (but look really nice). You can find the printables right on the website. Put them together in a cute crate or bin from your local dollar store. 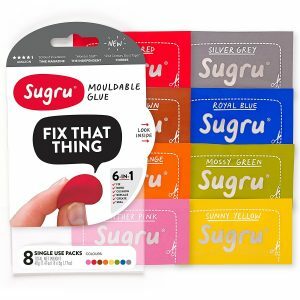 If Dad is a practical, fix-it kind of guy, he'll love finding uses for this Moldable Glue. This cool substance can almost fix anything or hold it together. It can be used to repair cords and to bind broken items. Get this pack for just $16.91. Gym rats and weekend warriors alike will love this great resistance band, which can be used practically anywhere to increase strength and tone. Dad can take it to work, use it in front of the TV, or incorporate it into his home gym routine. 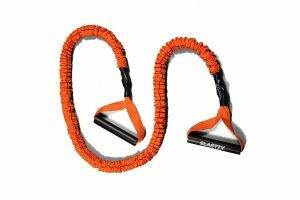 It’s a great piece of exercise equipment for $16.95. I have yet to meet a guy who doesn’t get excited about a cool headlamp. While us ladies might find them a little geeky, most guys seem thrilled with the idea of a hands-free headlight for wherever they go. Whether you’re looking for a sporty gift, a practical gift, or an idea for a camper, outdoorsman, or fix-it guy, this is perfect! 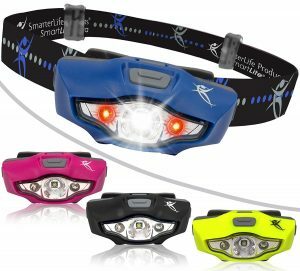 This headlamp's a bargain at $16.97. Gourmet Dads and those with a green thumb will think this gift is SO cool! Basically it’s a setup to grow mushrooms right in the box! Oyster mushrooms are meaty and have a delicious texture that sautés and grills well. Dad might just find a new hobby! 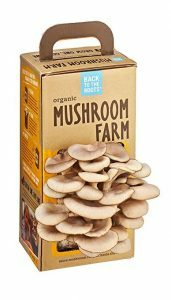 This mushroom farm costs $18.99. This radio strikes the perfect balance of practical, useful and still fun. Dads who camp, spend time outdoors, or just like listening to the game will appreciate the fact that this radio works no matter what. It has a hand crank and a solar charger, so it's great for emergencies and outdoor trips…or for guys who just love gadgets. 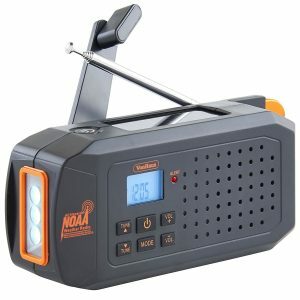 This radio can be Dad's for $20.00. Whatever you decide to give Dad this Father’s Day, make it meaningful and put some thought into giving gifts he'll really enjoy. Hey, meaningful gifts are often the cheapest too, so win-win! Most guys are pretty easy to please, so it’s often the thought and gesture that go along way! What are you going to do with your special Dad this Father’s Day? Wow these are amazing ideas! I really like the help coupon where kids give days help when he needs. Mr. FAF doesn’t usually need gifts. But maybe this year will be different! I’m not even sure my dad appreciates gifts that much.. Each time he gets a gift from my sister and I, he doesn’t seem that excited. Spending time with us on the other hand, that’s a whole different story! Oh my goodness, I love the slipper gift set so much. That’s brilliant! Amazon has exotic jerky that would be the perfect slipper stuffing! Wow ! 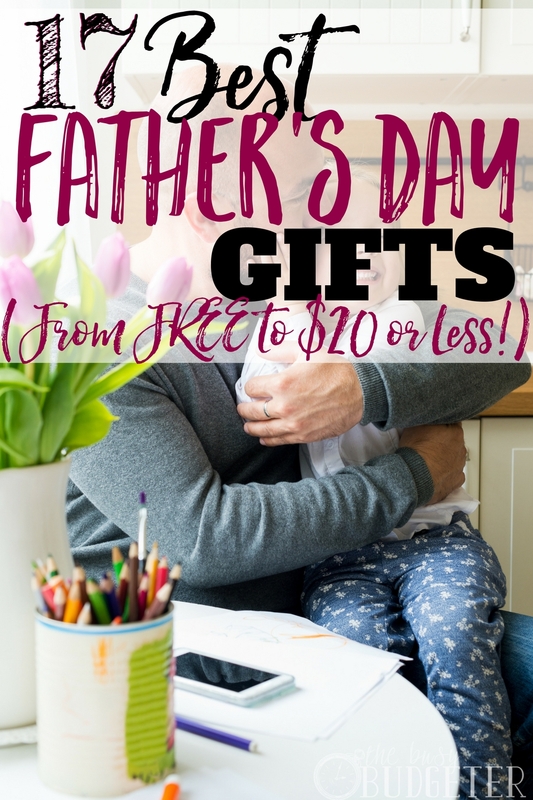 It is a very informative and wonderful blog post on 17 Best Father’s Day Gifts (from FREE to $20 or Less! ).